Write-Remove-Rewrite without damaging documents. 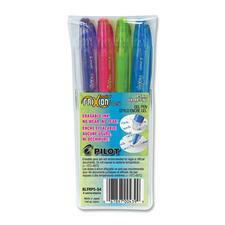 Thermo-sensitive gel ink formula disappears with erasing friction.Refillable.0.5 mm.12/box. Write-Remove-Rewrite without damaging documents. 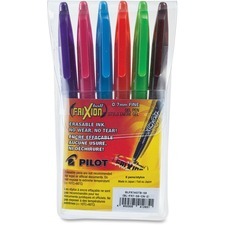 Thermo-sensitive gel ink formula disappears with erasing friction.Refillable.0.7 mm.12/box. Write-Erase-Repeat. Erase easily with no residue. 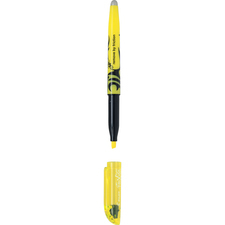 Thermo-sensitive ink formula disappears with erasing friction. Medium tip. Write-Remove-Rewrite. Erase easily with no residue. Chisel tip.Also available in a box of 12. Write-Remove-Rewrite without damaging documents. Thermo-sensitive gel ink formula disappears with erasing friction.Refillable.0.7 mm.6/pkg. Write-Remove-Rewrite without damaging documents. 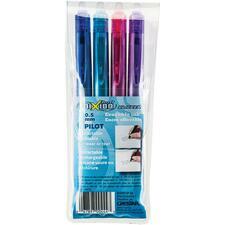 Thermo-sensitive gel ink formula disappears with erasing friction.Refillable.0.5 mm.4/pkg. Write-Erase-Repeat. Erase easily with no residue. Thermo-sensitive ink formula disappears with erasing friction. 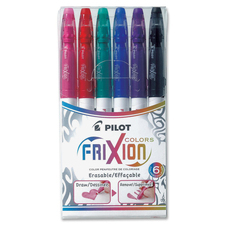 Fine tip.6/pkg. Write-Erase-Repeat. Erase easily with no residue. 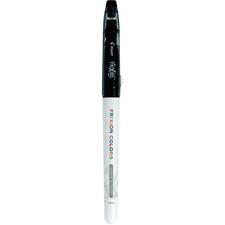 Thermo-sensitive ink formula disappears with erasing friction. 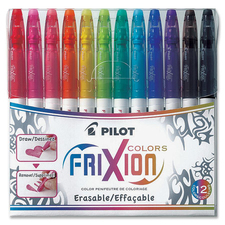 Fine tip.12/pkg. Write-Remove-Rewrite. Erase easily with no residue. 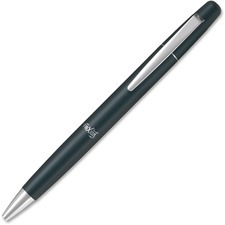 Chisel tip.2/pkg.